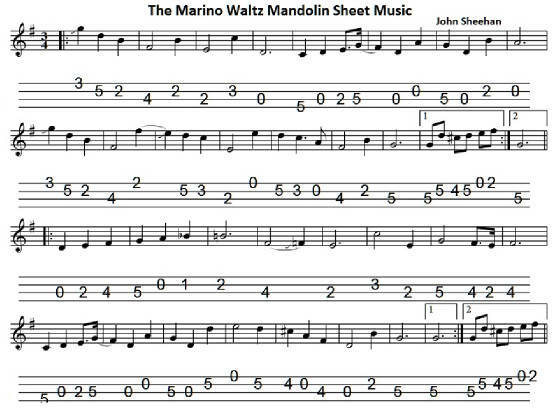 The Marino Waltz, Irish Tin Whistle And Mandolin Sheet Music. Written by John Sheehan and recorded by The Dubliners with John on Fiddle and Barney McKenna on Banjo, this is one of the all time classic compositions by The Dubliners. 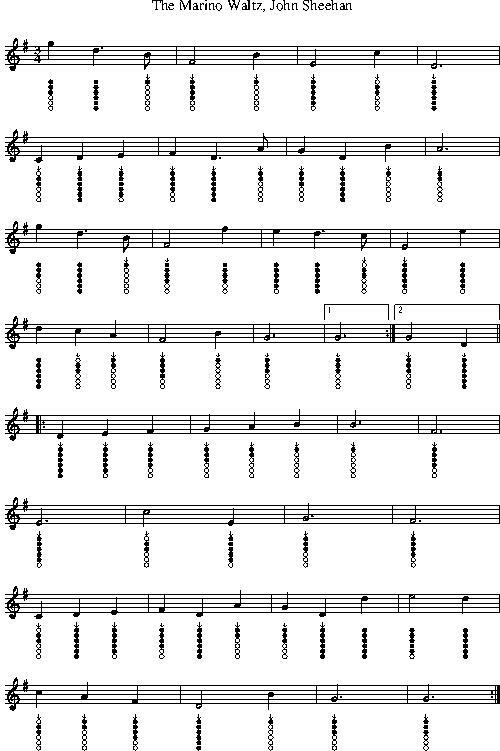 If playing this on the whistle you'll notice a low C note, so just don't play it and play a D instead and it will still sound fine.